Tanzania is a beautiful country geographically located on the eastern side of Africa, just south of Equator. Tanzania is a very diverse country, and is a great destination for adventurists. The country hosts the highest mountain peak in Africa. It also has numerous species of wildlife in its national parks, and is a favourite among wildlife enthusiasts. You can also make a cultural visit to the country to interact with the local tribes who still live a very primitive life. This post highlights the major attractions of Tanzania, and provides sample itineraries that will help you plan your next visit to Tanzania! Climbing to the highest peak in the region will be on every trekker’s/hiker’s list. 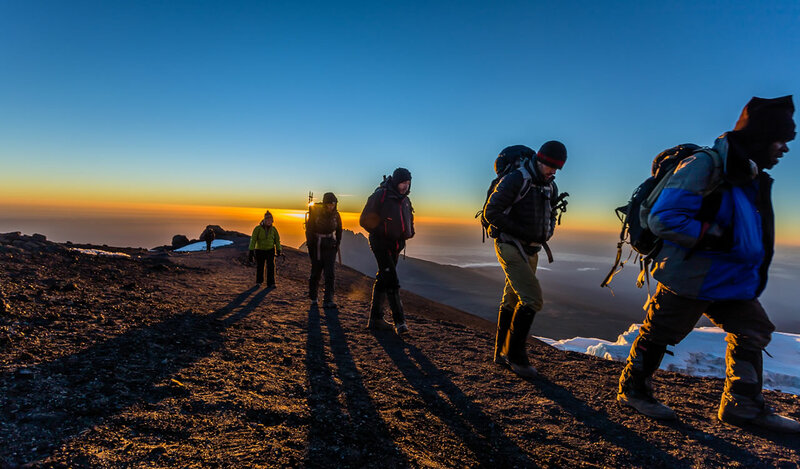 Just like the Everest Base Camp trek in Asia, the trek to Mount Kilimanjaro is no exception. Mount Kilimanjaro is the highest peak in Africa, and is at an altitude of 5,895 metres (19,341 ft) above sea level. It is located near the border of Tanzania and Kenya, and is part of Kilimanjaro National Park. It is also accredited with the highest free-standing mountain in the whole world! Being the free-standing mountain, you can witness some of the astonishing views while on the way to the top! Lake Manyara National Park is located in the Arusha region of Tanzania. This National Park has a large presence of tree-climbing lions and is its main attraction. Apart from these rare lions, the park is also home to elephants, baboons, wildebeest, buffalo, hippo, flamingo, zebra, warthog, waterbuck, dik-dik and impala. Lake Manyara National Park is a small park that spreads across 320 square kilometers. It is named after Lake Manyara that covers almost two-third’s of the National Park’s area! It is due to the presence of this huge lake that you can find more than 400 species of birdlife. The birdlife within the National Park includes flamingos, pelicans, storks, cormorants among many others. Mto Wa Mbu is a small cultural village that is located at around 120 km from the town of Arusha. The village is a hub of cultural tourism with a lot of lodges, camps, eateries opening recently to make it friendly to the visitors. The reason for such a high inflow of visitors to this village is due to the presence of over 120 tribes of Tanzania in and around this small village. The village also offers several cultural programs that introduces their traditional way of living to the visitors. While the cultural tourism remains the primary attraction of Mto Wa Mbu, the village is also popular for locally grown bananas. There are over 30 varieties of bananas grown in the region, and each of them with varying tastes! The location of Mto Wa Mbu is aptly located so that it can be used as a stopover when you are on a Wildlife Safari trip to Ngorongoro Crater, Tarangire National Park or Serengeti National Park! Ngorongoro Crater is a World Heritage Site that is located at a distance of 180 km from the town of Arusha. Ngorongoro Crater is the world’s largest unfilled volcanic caldera (a large hollow that is formed due to the volcanic eruption) and is currently inactive. The floor area surrounding the crater falls under Ngorongoro Conservation Area and forms one of the most scenic landscapes in the world. The fertile grazing ground in the Ngorongoro Conservation Area is home to several wildlife species, including black rhinoceroses, big tusked elephants, lions, leopards, hyena, wildebeests, buffaloes, and zebra. The dense population of varied wildlife makes Ngorongoro Crater one of the most visited places in Tanzania! Tarangire National Park is yet another gem for wildlife enthusiasts in Tanzania. The national park is often less visited, and most of those who visit, spend just few hours as they just pass through the park. The beautiful and dense forests with ample wildlife and less crowd makes Tarangire National Park one of the favourites among its visitors. This underrated national park is home to almost all the types of wildlife that is found in Tanzania. While big tusked elephants form the bulk of the wildlife here, you can also find zebras, buffaloes, gazelles, impalas among many others. You can also find various predators like lions and leopards. The national park is named after the perennial river of the same name. It flows through the northern region of the national park and attracts numerous (over 500) varieties of birds! June to October is considered to be the best time to visit Tarangire National Park as this is a dry season, and many wildlife come to this national park in search of water! During the rest of the season, however, the sightings of wildlife is rare as compared to the other surrounding national parks. Tarangire National Park is still considered to be the best destination for bird watching throughout the year! Serengeti National Park is perhaps the most popular National Park in Tanzania. The national park spreads across 5700 sq miles (or 14700+ sq km) and extends as Masai Mara National Park across the international border of Kenya. The grasslands of Serengeti National Park are the richest grazing grounds in the world. This is the reason why Serengeti National Park witnesses one of the biggest wildlife migrations every year! Between December and July, you can watch over two million wildebeests migrate between Serengeti National Park and Masai Mara National Park! Apart from wildebeests, the park also has huge number of zebras, elephants, giraffe and others. Serengeti also has highest concentration of predator including lions and cheetahs. About 2500 lions can be found here, and is considered to be the highest number in any national park in the world! Serengeti National Parks is not only rich in wildlife, but also has a wide variety of birdlife as well. Over 500 species of identified birds can be found here! Lake Eyasi is located on the outskirts of Ngorongoro Crater grasslands and is popularly called as a soda lake due to its high levels of alkaline. The area around the lake has a mild concentration of wild animals including leopards, monkeys, hippos and birds like flamingos, pelicans and storks. 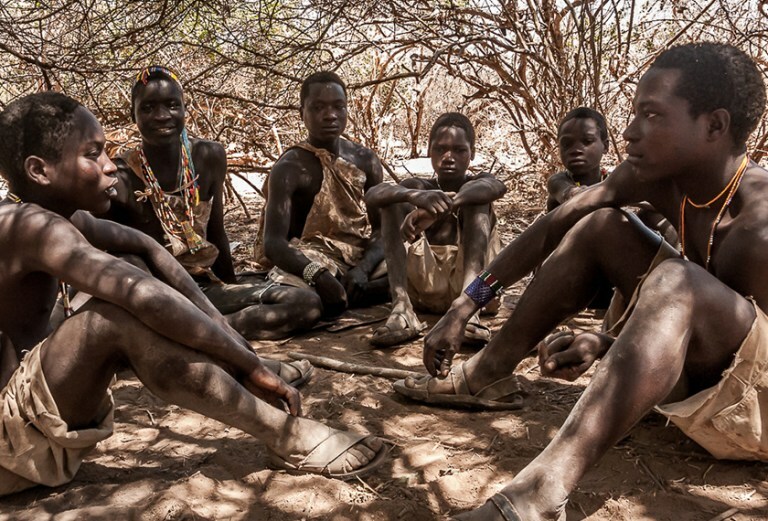 A visit to Lake Eyasi is incomplete without meeting the Hazdabe bushmen, the last tribe of hunters in Africa! Hazdabe still live inside simple shelters built from grass, branches of trees and the like. During rainy season, they look out for caves to avoid getting drenched in rain! By interacting with them, you can learn how to make fire with two dry sticks, or learn to use bows and arrows, or even join them for hunting early in the morning! 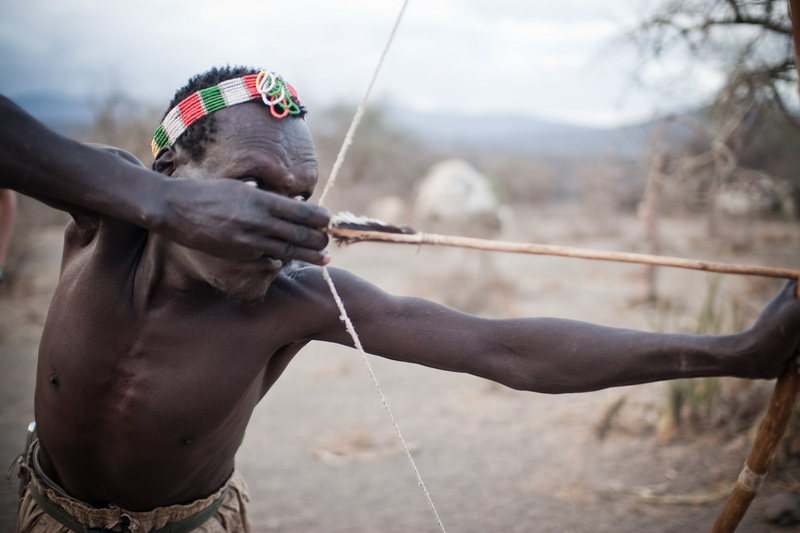 At the outskirts of Lake Eyasi, you can also find another tribe called Datoga, who mainly prepare weapons such as arrowheads, spears, knives, bracelets etc. A trip to Lake Eyasi is a must visit if you like interacting with the locals to know their culture! How to plan a visit to Tanzania? Kilimanjaro International Airport in the northern part of Tanzania has several flights from European and African countries. The national parks and the trekking/hiking destinations make this part of the country a favourite among its visitors. The Visa fee for EU citizen is USD 50, and for others (India, USA etc), it is USD 100! The currencies that are accepted in Tanzania include Tanzanian Shilling, US Dollars, Euro and Pounds. If you are visiting Tanzania either for trekking/hiking, or for wildlife viewing, it is recommended to consult a good tour operator. 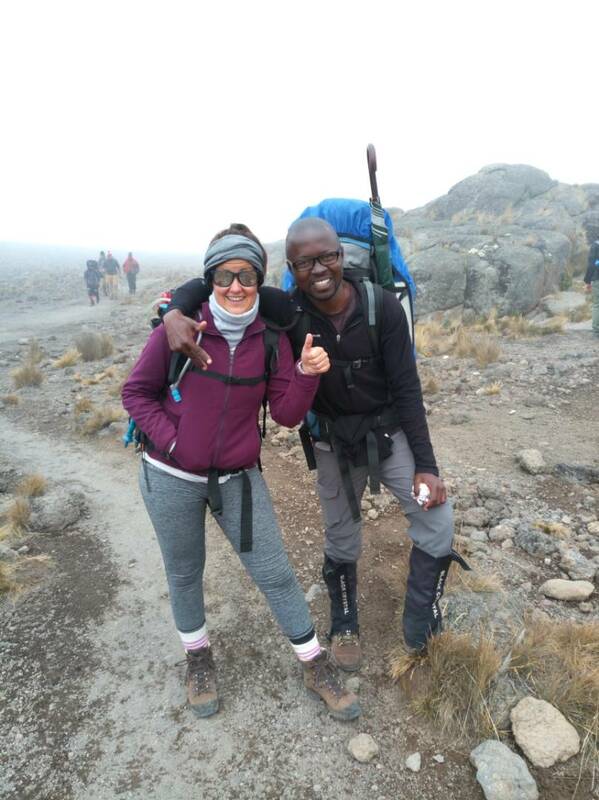 While most tour operators can provide cheap and good packages for climbing Mount Kilimanjaro, you should also look for the services they provide and how reliable they are. Climbing a mountain is not easy, and conquering the mountain at a high altitude is no different. It requires professional assistance, guidance to deal with high altitude sickness, emergency rescue and the like. And if you are looking to visit Tanzania soon, yours truly can help you with trekking, wildlife and/or cultural tours! There are several routes from which you can start your trek/hike to Mount Kilimanjaro. The choice of selecting the route depends on your fitness levels. Trekking through some of the routes require moderate fitness due to its constant elevation throughout the trek. Some other routes are tough, and the rest are very tough! You can choose any of these sample itineraries and contact me (dreamtrials.in@gmail.com) if you are interested in exploring the highest peak in Africa! As mentioned earlier, a visit to Lake Eyasi is incomplete without meeting the tribes of Hadzabe and Datoga. If you want to know more about them, and like to interact and learn about their primitive way of living, you can opt for this tour! Contact me (dreamtrials.in@gmail.com) for details. Choose from a variety of Safari Tours. Choose select few national parks in your trip or cover everything on one go. See here for various National Park Safari Tours.